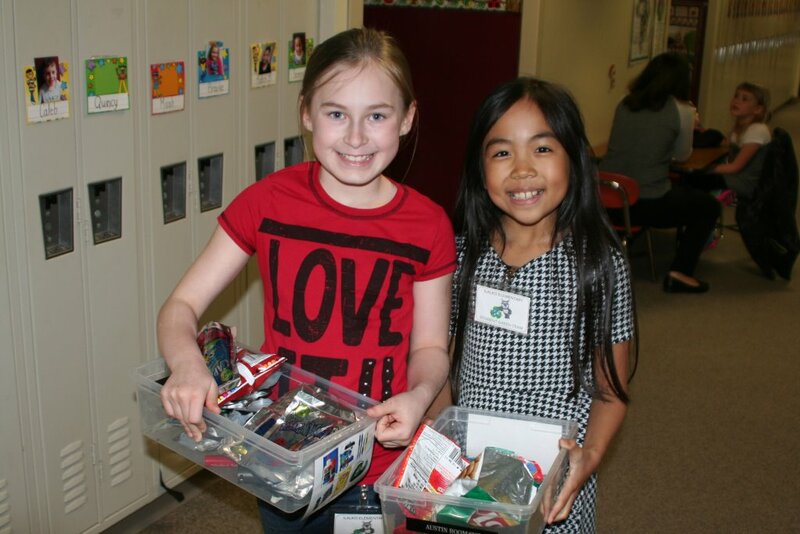 Since the fall, the Green Team students at Ilalko Elementary School in Auburn have been encouraging their peers to participate in the school’s Waste-Free Lunch project by holding weekly competitions. Green Team members wear “walking billboards” made from recycled pillowcases to advertise the weekly competition and encourage participation. Each week, the winning class receives a trophy for highest participation. Each month, the class with the most participation earns an ice cream party. The competition has greatly increased awareness among students of how they can reduce their carbon footprint through increased recycling and use of durable rather than disposable items. In addition to the competitions, the student team planted perennials and annuals as part of a campus beautification project they organized. Team members also participated in the Read Across America Challenge, for which they made Dr. Seuss characters out of recycled products and displayed them at the school. This active team of thirty-five fourth and fifth-graders is led by teachers Shannon Hyde and Michaela Peringer, and parent volunteer Vinnette Lang. The Ilako Green Team was recognized as 2015 Earth Heroes at School.